Add some contemporary style to your living space, while also being prepared for overnight guests with this queen sofa sleeper. The piece features an intriguing duo upholstery design, with a soft polyester interior and a faux leather exterior for a sophisticated touch. The queen pull out mattress is made from memory foam and lies on a supportive steel frame that ensures your guests will have proper support. 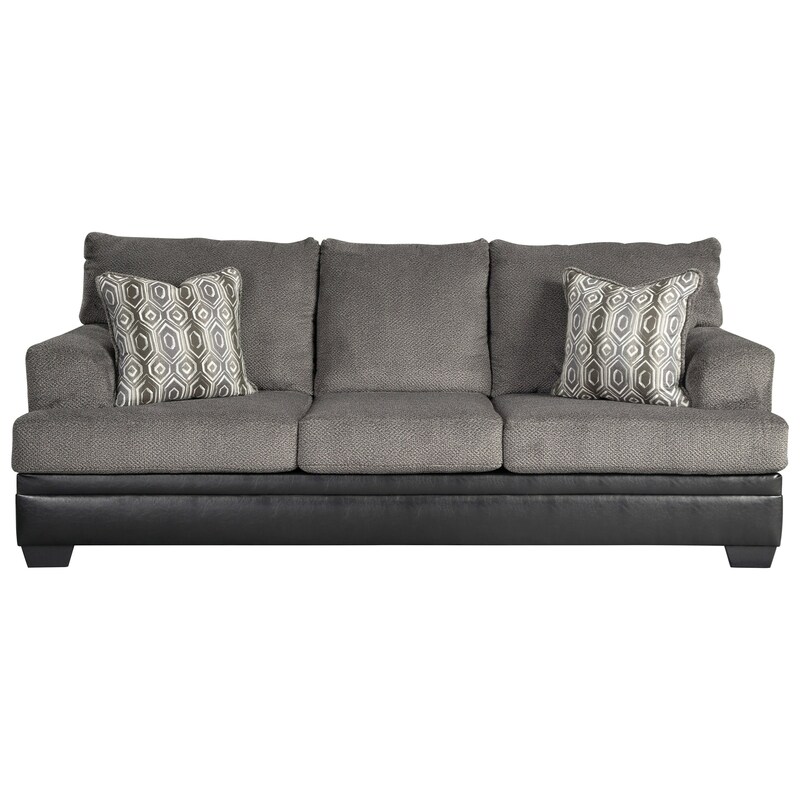 Furthermore, this piece includes four decorative pillows for additional comfort and style. The Millingar Queen Sofa Sleeper with Memory Foam Mattress by Signature Design by Ashley at Michael's Furniture Warehouse in the San Fernando & Los Angeles area. Product availability may vary. Contact us for the most current availability on this product. Pull-Out Mattress Included bi-fold queen memory foam mattress sits atop a supportive steel frame. Memory foam provides better airflow for a cooler night's sleep. Memory foam encased in damask ticking. The Millingar collection is a great option if you are looking for Contemporary Casual furniture in the San Fernando & Los Angeles area. Browse other items in the Millingar collection from Michael's Furniture Warehouse in the San Fernando & Los Angeles area.